Our new topic for this term is Great Artists and what a great topic this promises to be! We will be having an Art WOW Day on Friday 8th January to inspire the children and introduce them to the topic. Please continue to check our class page regularly for update photographs and examples of our work. 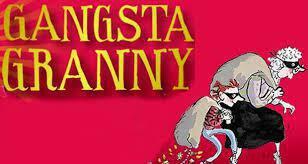 On 13th January Merlin Class will be heading to Oxford New Theatre to watch Gangsta Granny.